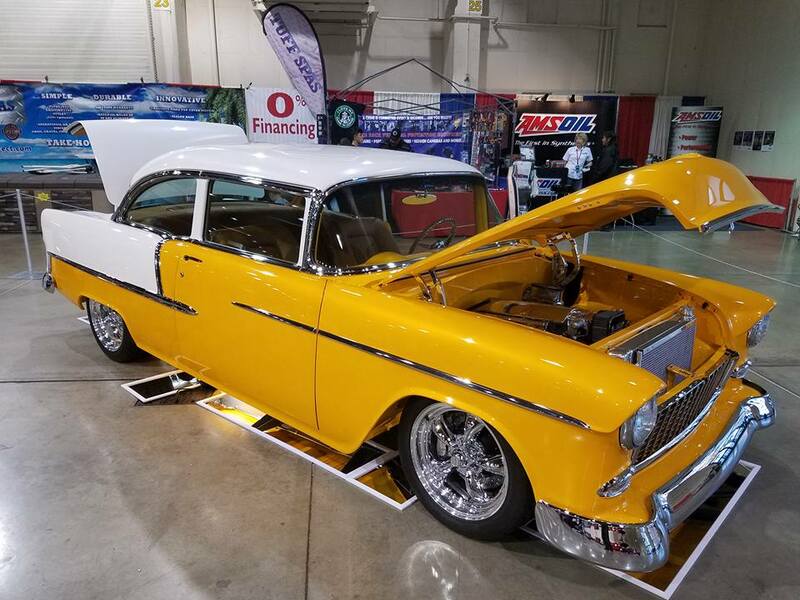 ​Many people are familiar with the Detroit Autorama and the prestigious Ridler award, but the reality is there are hundreds of cars on display. This year we again sent V8 Detroit correspondent Joe Miuccio to Cobo Hall to capture the entire event and not just the Great 8 Ridler contendors. We hope you enjoy clicking through this 500 image gallery covering the muscle cars, customs, hot rods, rat rods, and more from the 2017 Detroit Autorama! The 2017 Grand National Roadster Show in Pomona, California, had something cool for every kind of hot rod enthusiast to drool over, and our buddy Richard Waitas from MagnaFlow captured this gallery of images and shared them with us. Rich is always seeking out cool and innovative elements on cars, and he had a lot to choose from this year. 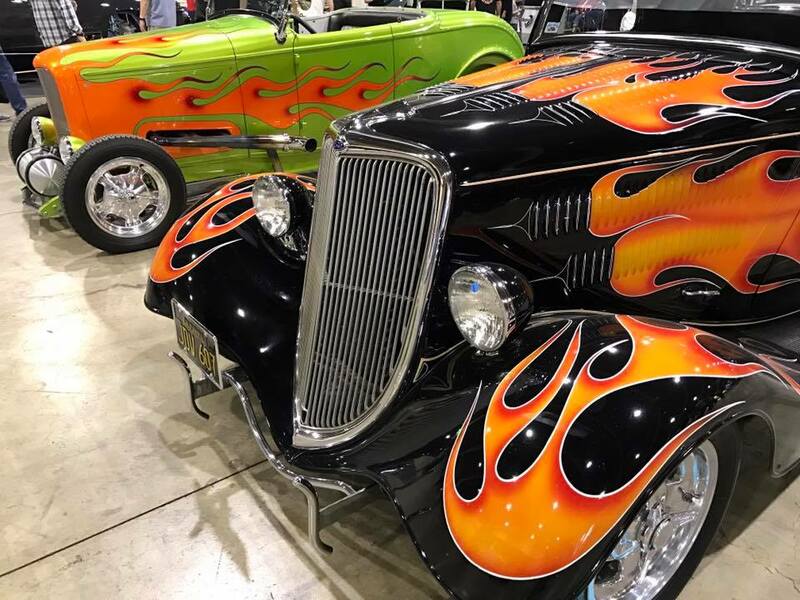 Our friend Josh Mishler from Advanced Plating was kind enough to share some photos he snapped at the 2017 Grand National Roadster Show in Pomona, California. The event always features the pinnicle in hot rods and customs, and this year, was home to the 60th anniversary of the tri-five Chevrolet display as well. Troy Ladd and the crew from Hollywood Hot Rods took home the highest honor of the America's Most Beautiful Roadster trophy (AMBR). Our buddy Zach Straits was busy snapping photos of cool vintage racers, Muscle Cars, and other classics at the 2017 Mecum Auto Auction in Kissimmee, Florida. He was kind enough to share the images with us, so we're passing them to you! Over 3000 cars went across the block! The Rev’n Rods & Heartland Music Tour presented by Chevrolet Performance is a great cruising event with the added bonus of a country music concert at each stop. We joined the event for several of the stops and found tons of great cars, lots of cool people, and a great overall feeling of hot rodding camaraderie. The event, a thrilling combination of car shows, a driving tour and nightly concerts, kicked off in Nashville, Tennessee on Sunday, July 17. The Rev’n Rods & Heartland Music Tour will have additional daily stops in Southaven, Mississippi; Cape Girardeau, Missouri; Bowling Green, Kentucky; and Bean Blossom, Indiana before the final stop in Indianapolis on July 22, 2016. Each day’s event features a car show complete with vendors, exhibits, food and beverages with admittance free to the general public. Every night ends with a ticketed concert featuring the legends of country music. Owners of hot rods, street rods, motorcycles and classic automobiles are encouraged to go on tour with Rev’n and Heartland for one stop or even the whole trip. Each registration includes two free nightly concert tickets per vehicle. The details for each location are listed below. Visit www.revntour.com for tickets and more information. 2016 Detroit Autorama Photo Gallery - Great 8, Ridler, And Beyond! The 2016 Detroit Autorama is upon us, and the world-famous indoor car show at Cobo Hall in Detroit is always widely anticipated for the crowning of the coveted Don Ridler Award. The Ridler Award is basically the custom car world's Best Picture Oscar, and the winner enjoys a huge honor and tremendous prestige. The entire field is narrowed to the Great 8, and the winner chosen from those. However, the Detroit Autorama is a display of hundreds of cool cars. In this gallery, you'll find nearly 400 photos covering the entire range of customs, Muscle Cars, racers, and everything in between as seen at the 2016 Autorama! Photos by Joe Miuccio. Cool Museum And Diner We Discovered On The Way To The 2015 SEMA Show! We stumbled across this cool diner / restaurant on our way out to the 2015 SEMA show. It's called Crane's Museum & Shoppes, and it's located in Washington, Misourri. We went for the breakfast and stayed for the very well stocked antique and car museum in the back. They have tons of old car-themed items on display, ranging from antique cars and gas pumps to scale models, toys, and pedal cars. There are plenty of non-car themed antiques on display as well, so your non car-fanatic traveling companions won't get bored. Crane's is just of Intersate 70 and is easy to find. Be sure to say hello to Cooper the dog. The 1969 Camaro "ZR9 " was an invited guest at the 2015 Car Craft Magazine Summer Nationals in Milwaukee, WI. The car was on display in the Pro Builders Shootout area, and the crowds really ejnoyed seeing the car in person. This gallery attempts to capture some of the thousands of cars on hand in this inagural Milwaukee location. The Car Craft Summer Nationals is a great event, complete with the car show, as well as an autocross for participants. The V8TV 10th Anniversary Drive-In Cruise Presented by HTP America, Inc. was a huge success, and we're all very thankful to everyone who came out and made the event such a fun time for everyone. We hosted a car show, gave away some fantastic prizes, showed a special V8TV 10th Anniversary feature on the big scree, then capped off the night with a showing of Smokey And The Bandit! 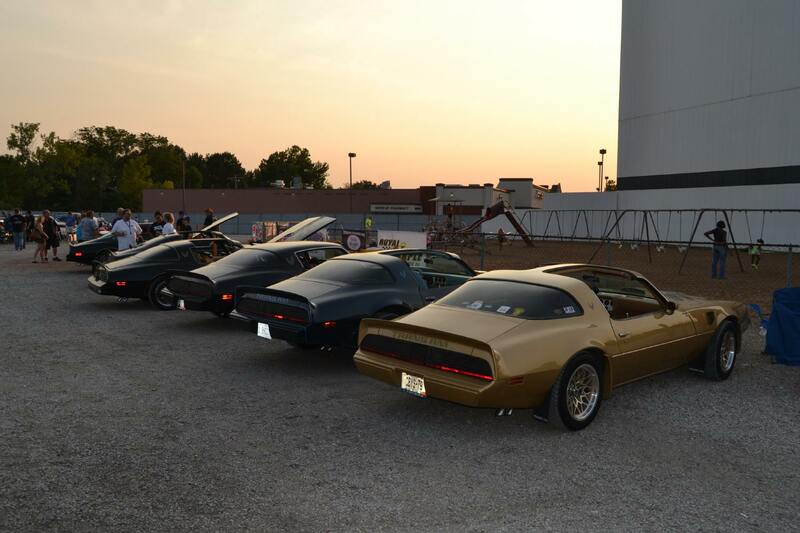 We checked out a cool cruise in Collinsville, IL, that featured cars from a variety of genres. There were several clubs represented, along with a DJ spinning smooth grooves. 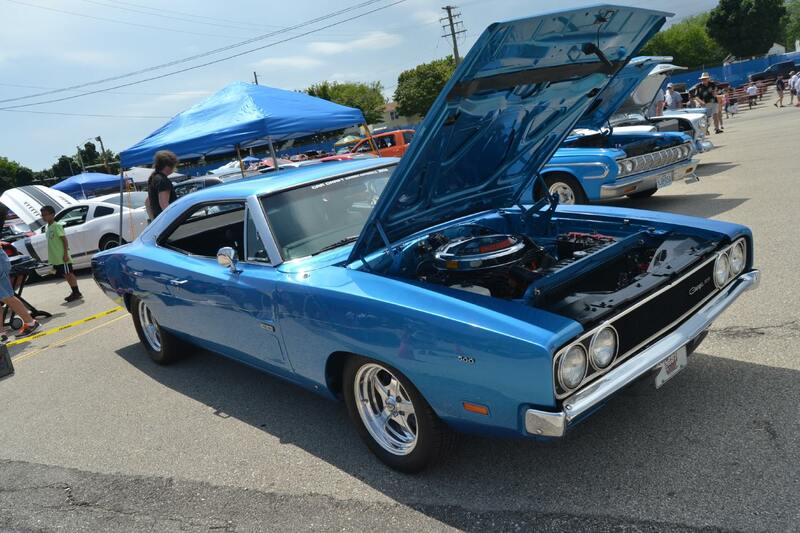 Check out the 1970 Rambler Rebel SST factory 4-speed! Photos by Trevor Spence. The 2015 Goodguys PPG Nationals in Columbus is home to some fantastic Muscle Car and Street Machine action, including the crownging of the Street Machine Of The Year Award. (SMOTY) This year, the competition was amazing as a tremendous variety of modified Muscle Cars competed for the title. However, one of the coolest aspects of the competition is that each SMOTY contender needs to be a real car... meaning that it needs not only to run and drive, but it is thrashed on the autocross course! In this gallery shot by McGaffin Digital Photo, you'll see these high-dollar rides in motion as they are beat up on the course. The 2015 Street Machine Natonals in DuQuoin, IL, was a great place to tavel back in time to see some of the most iconic Pro Street car from the era. Cars like Troy Trepanier's "ProBox" 1960 Impala, Gary Buckle's 1971 Camaro, Matt & Debbie Hay's Thunderbird, and many more were on-hand in the Legends of Pro Street aisle. We snapped a bunch of photos of the event, including a few of the V8 Speed & Resto Shop-built 1969 Camaro "ZR9" as it made it's public debut! The 2015 Hot Rod Magazine Power Tour rumbled past the home of V8TV as it made it's way from Gateway Motorsports Park down to Memphis, TN. Our crew was on hand at the Gateway stop to snap some photos of the dizzying amount of Hot Rods, Muscle Cars, Customs, Late Model Performance Cars, Trucks, and so much more. The next morning, we opened the doors of the V8 Speed & Resto Shop in Red Bud, IL, to any Power Tour participant that needed a hand along the way. The Power Tour route literally came to our front door, and our town of Red Bud put on an amazing show of it's own welcoming the thousands of cars and participants all day long. This gallery captures just a slice of all the action! Be sure to click through all 5 pages of photos! We recently attended a cool small-town Midwest car show hosted by the Waterloo, Illinios Optimist Club, a youth fundraising organization. 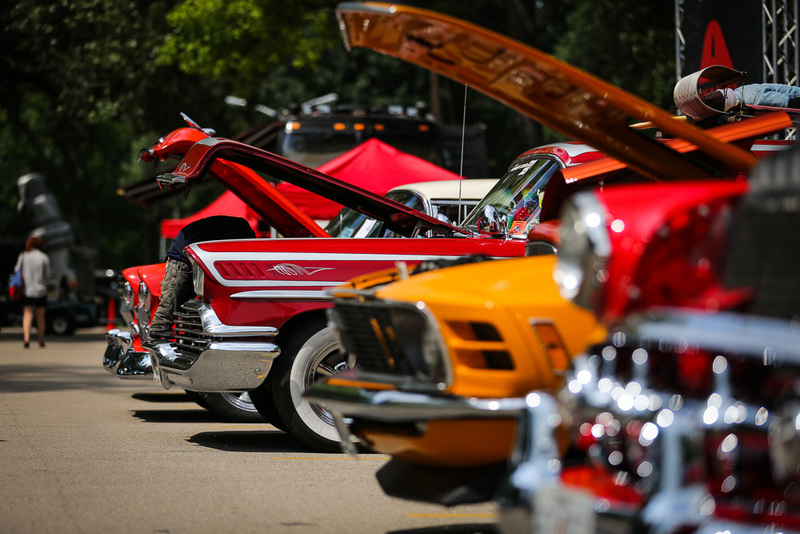 Muscle Cars, Hot Rods, cool trucks, and more were on hand for the event heald Sunday, June 7 in the historic courthouse square in Waterloo, IL. Being a youth oriented fundraiser, they hosted events like the Kids Choice award and had a 24 foot long Hot Wheels track with supplied cars for kids to race all day. We brought the V8TV cameras and will be featuring video from the event on our website and the V8TV television show soon. Click the Read More link for the full gallery! Click the "Read More" button below for a throwback gallery of shots from the 2012 Hot Rod Magazine Power Tour stop at Gateway Motorsports Park just outside of St. Louis in Madison, Il. It was a hot and sunny day, and the big show and passes down the drag strip were enjoyed by Power Tour participants and locals alike. 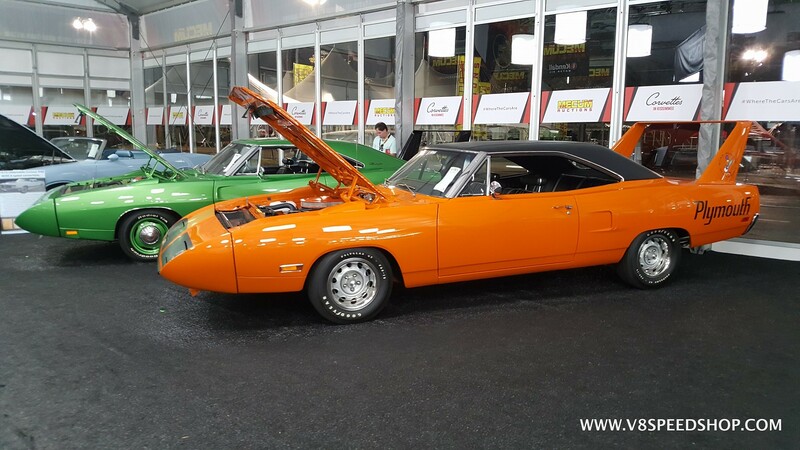 2015 Detroit Autorama Photo Gallery - More Than 8 Cars! 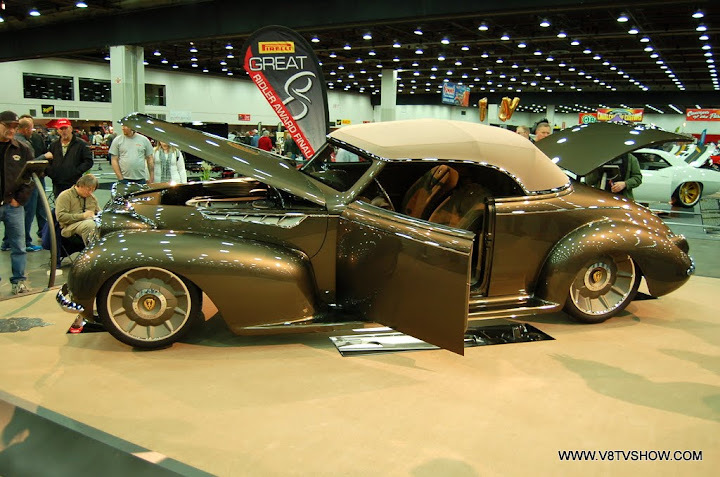 2015 Detroit Autorama Great 8 Photos... Who Will Win The Ridler Award?